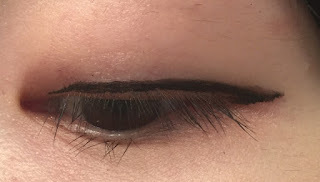 Unfortunately, I'm not a fan of hard tips that drag and poke my eyelid. 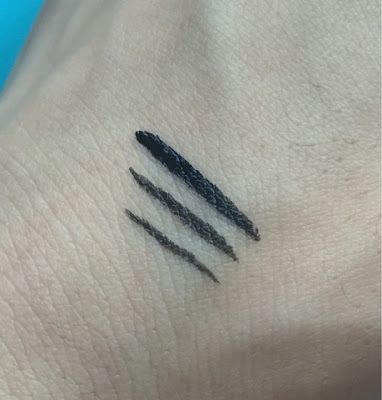 This liner isn't really pigmented either, I must prefer the L'Oreal Lineur Intense brush tip (review here). The wear was good on my oily lids, and it removes in flakes like a lot of waterproof liquid liners. 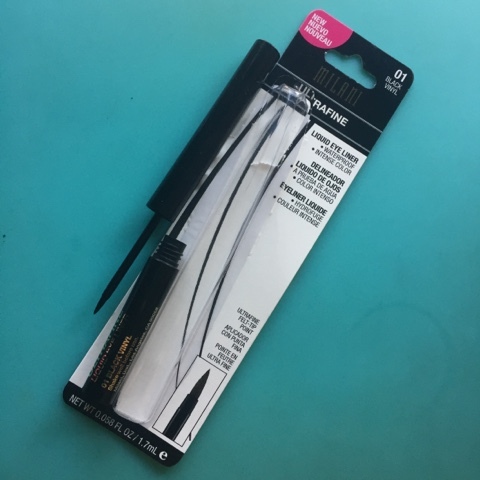 I personally prefer brush tips or the pen liquid liners, if you like this kind of felt tip this might be good for you.